I'm very selective about the toys we get for Little Dude. Battery-operated and flashy toys simply irritate me, and from the beginning, I got him toys which at least required him to use basic skills. I think that the purpose of a toy is to spark creativity and imagination, and become whatever the child using it wants it to. 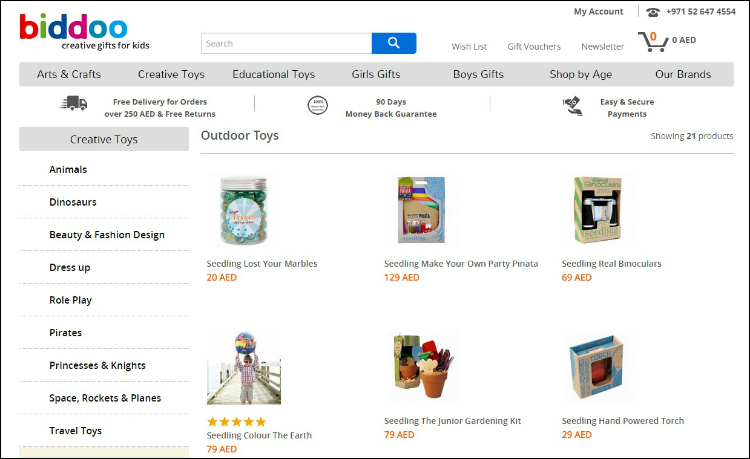 That's why, I love the Biddoo store - an online portal based in the UAE which has an amazing collection of toys that are definitely not run of the mill. Biddoo prides itself in being different, and not stocking the "latest craze" or plastic toys which run on batteries. They have a huge collection of creative and educational toys, apart from arts and crafts kits aimed at children from 1 to 15 years of age. Founder Isabelle Wessollek wrote to me about the site, "I wanted to create an alternative for mums looking for sophisticated, inspirational and also educational gifts for children which you can’t find easily at the mall. 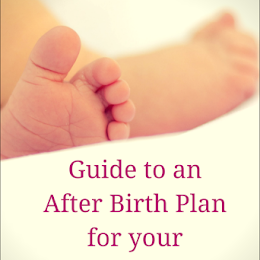 And I also wanted to offer a convenient, fast and simple shopping possibility for busy mums. 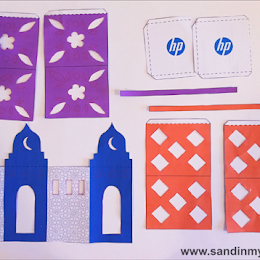 At the same time, I was always looking for creative activities for my three children!" Biddoo currently has three exclusive brands, and other exclusive products you won't find in shops. "We try to distinguish ourselves with this hand-picked product selection," adds Isabelle. Some of the things they look for in the toys they stock are creativity, inspiration for mums and kids, high quality standards, sophistication, great materials and design, and uniqueness. 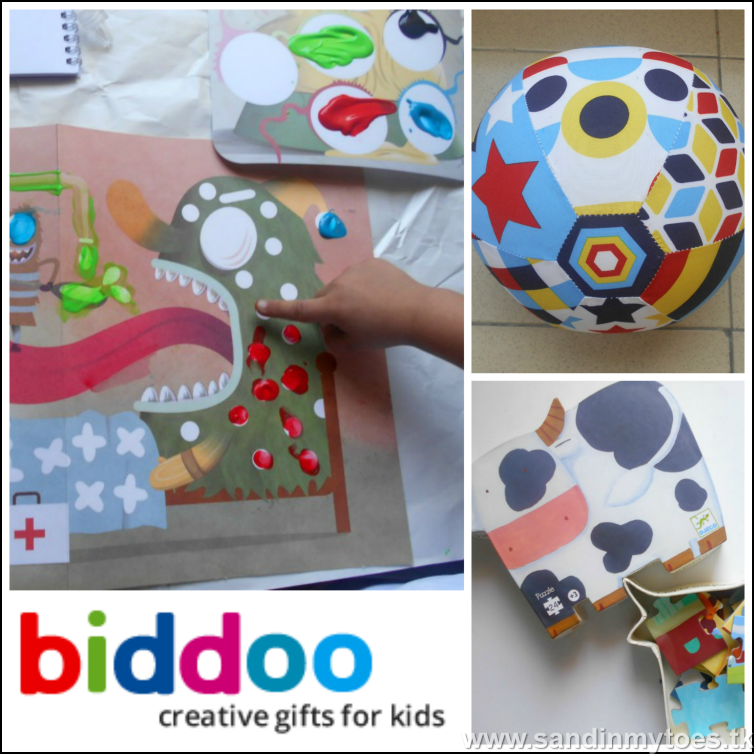 We tried a few of the products available on Biddoo, and these will give you a snapshot into the creative range available on their portal. I have also linked directly to the products, if you wish to order them. This was the first product Little Dude wanted to open! Clearly, he was attracted by the monsters and the fact that it involved finger painting. This kit comes with good quality finger paints in eight colours, a palette, four scenes for painting (two each) and a guide book to paint from. One of the things I liked was that it directs kids to use different fingers for painting, thus improving fine motor skills. 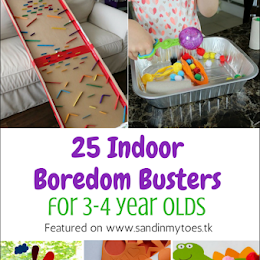 This is definitely a fun product for any child who has an imagination. This has become another favourite of ours. 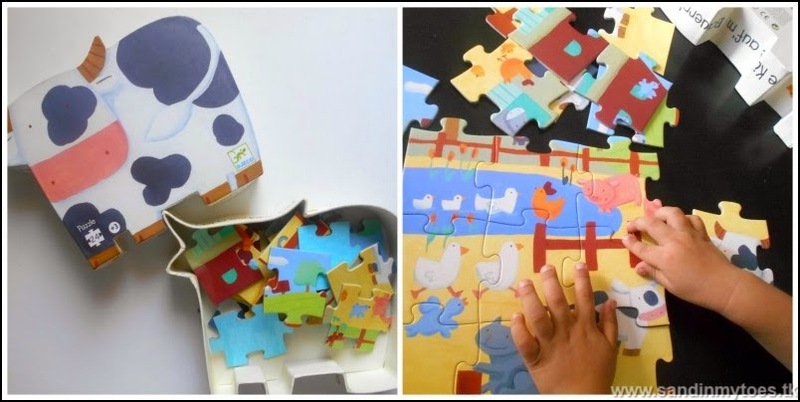 There are 24 brightly coloured, and beautifully illustrated big puzzle pieces. The puzzle pieces are sturdy and have not frayed or bent despite the number of times we used them. Little Dude loves the box so much, he plays with it too! I love how clever this product is! 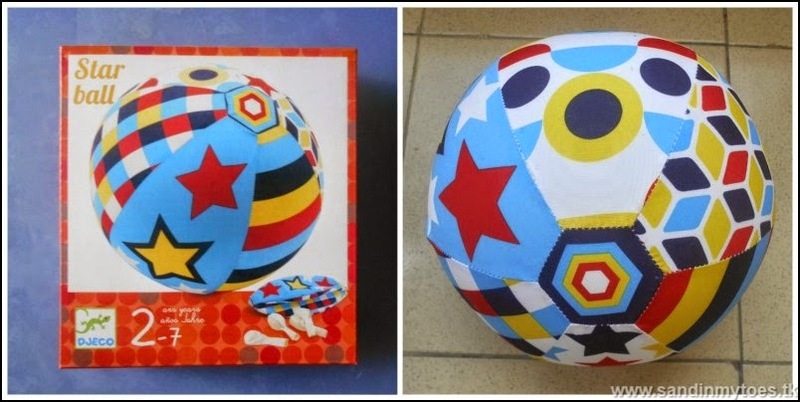 It's a fabric casing for a 9-inch balloon, which converts it into a firm ball. That way, you can carry around this ball anywhere and inflate it as needed. I think it would be great to take on a family vacation. This one is actually my favourite toy! This LED torch gets charged by pushing the lever, which retracts inside. It lasts for quite a while too. I find that it's a really handy tool to have around. Little Dude is also fascinated by it, and has found many uses for the torch, such as "finding treasure". 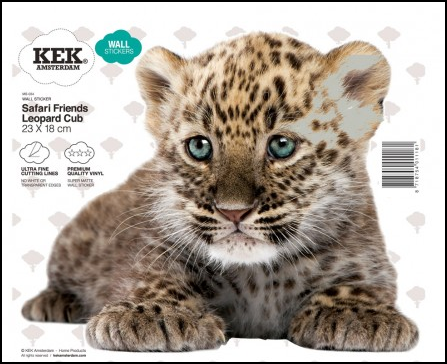 We like this leopard sticker as Little Dude is a Go Diego Go fan and loves anything about animals! We just haven't found a special place to stick it yet (lots of art projects in our house), but we are saving it for a good spot. I must say that I was delighted to find a website that stocks toys which really encourage children to get creative and be imaginative. I know that I'm going to be shopping with them often - not just for Little Dude, but also for gifts for his friends. The prices are also reasonable, and in fact, a bang for a buck for such good products! Visit Biddoo.ae to see their range of products, and follow them on Facebook or Instagram to stay in touch. We received the above products for the purpose of review, but all views and opinions are my own. These toys are really creative! I'm not a fan of the battery operated toys either.